This time the makers have come up with the new format of jodis. 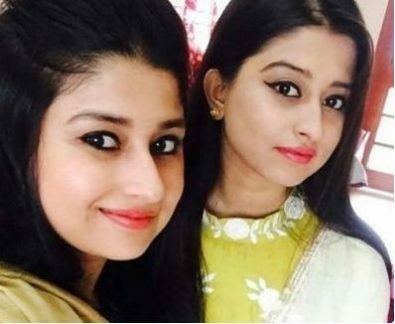 Saba Khan born in Jaipur and the commoner contestant of the show chose her sister Somi Khan as her partner for Bigg Boss. Salman Khan’s reality show Bigg Boss 12 has started from 16th September on Colors channel. It has been only 3 days the show has begun and as expected the contestants have started fighting and talking nonsense about each other. She introduced herself as a confident and rebellious person. She is a true entertainer and never forgives those who go against her. She said that she had to take a break from her job and when the audition for the show began she convinced her sister Somi to take part in Bigg Boss. Surprisingly, the duo chose for the show. Let us know more about her personal life below. Saba Khan was born in Jaipur on 26th July 1990. Saba is the eldest of all in the siblings. Her early life was quite disturbing, as her father fled away. Her mother took care of her children and supported them financially. Saba completed schooling from Emmanuel Mission Senior Secondary School. After completing her studied she started doing a job as a receptionist. She wanted to take a break from job to do something different. 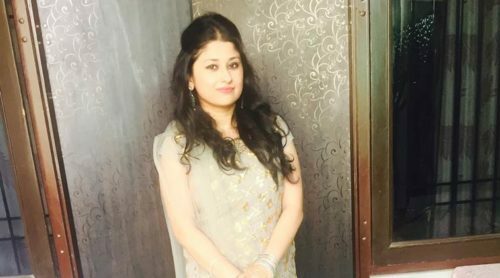 Saba gave the auditions for Bigg Boss and got selected with twin sister Somi Khan. Saba believes in woman empowerment. She entered the show Bigg Boss 12 with her twin sister Somi Khan. it seems that the sisters have already planned the strategy to survive in the show. They are doing household works, playing pranks, and doing a lot more to grab the attention. Before entering the show Saba said that she would not change herself and even doesn’t bother about her image as everyone is born with distinct personalities. On the first day, the duo initiated a fight with Shivashish Mishra, and made other contestants believed that the fight was serious. On the second day, the two called for dividing household chores and responsibilities inside the Bigg Boss house. Not Anup Jalota and girlfriend Jasleen, and singer Deepak Thakur and fan Urvashi are adding fun element in the show, it is the bond of twin sisters that is adding the much awaited masala in Bigg Boss house. Also read about other Bigg Boss contestants, Romil Chaudhary, Nirmal Singh, Neha Pendse, Dipika Kakar, Kriti Verma, S. Sreesanth.